Have questions about your project? 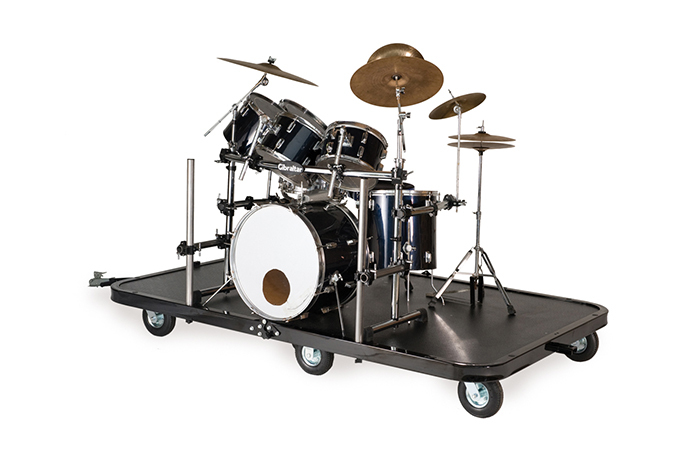 Easily take the field with StageRight’s high performance Folding Marching Band Field Cart. 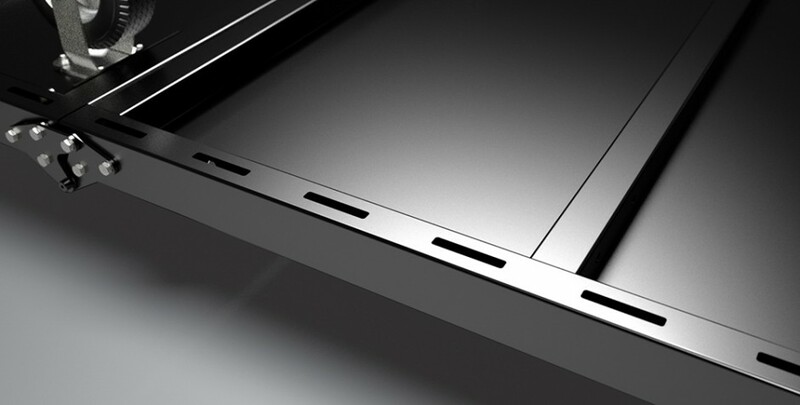 Slotted areas enable strap attachment to secure equipment storage. Slotted areas make it easy to attach accessories such as canopies, marching band podiums, banners and cymbal racks. 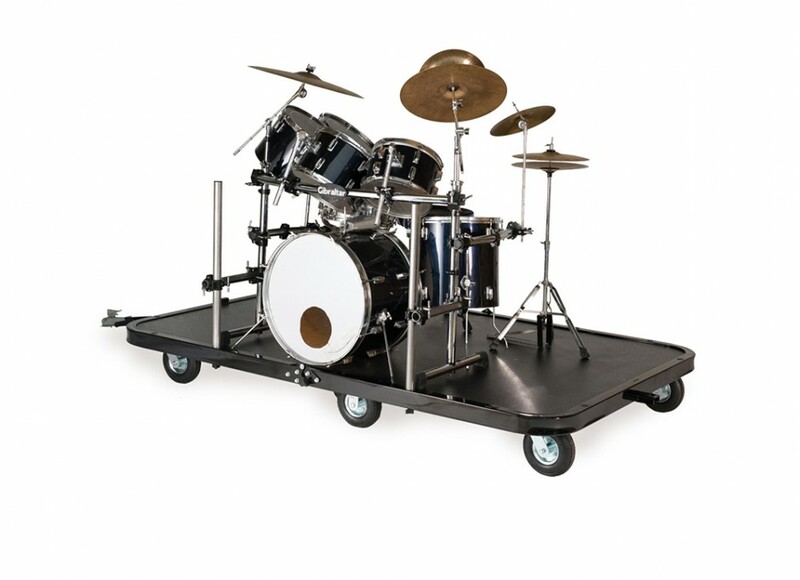 It can also be used to tie down the drum kit and make a portable drum riser for on field performances. Read our post about the advantages of marching band carts here. Large pneumatic locking casters allow movement on all surfaces. 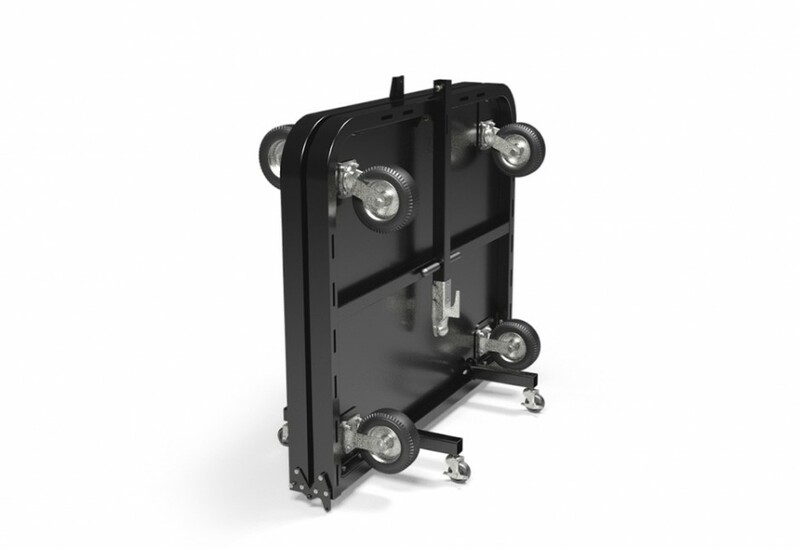 Handles allow the marching band cart to be either pulled or towed. In storage position, easily transport through standard doorways. Join carts to create a train for faster deployment. Powder coat paint gives a polished look and a long-lasting finish. Special order colors available to match school colors. Slip-resistant surface stands up in all weather conditions. Pull bar locks to prevent performers from tripping. Casters lock to keep cart stable. 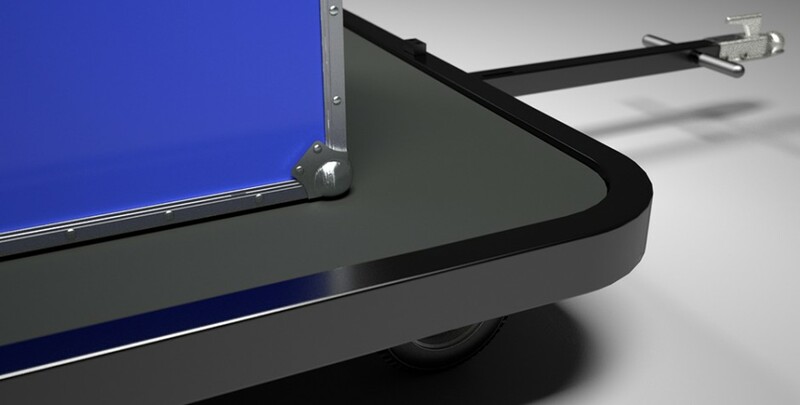 Rounded tubular steel protects those loading and unloading • Slip-resistant surface stands up in all weather conditions. Raised platform lip prevents items from falling off. Easy fold design for marching band cart storage. Pull bar locks for compact storage. 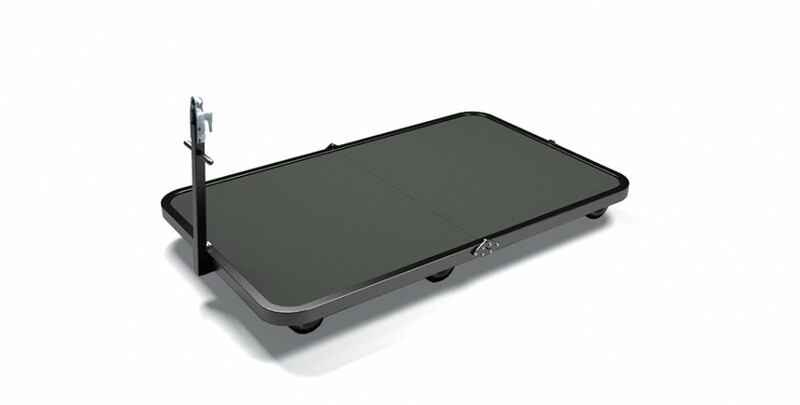 Fold out casters ensure stability during storage. Easily move to and from storage as the cart easily fits through standard doorways. Easy fold design for cart storage. Pull bar locks for compact storage. Fold out casters ensure stability during storage. Please contact a sales representative at 800-438-4499 to discuss your needs and to receive design assistance, specifications and pricing. ©2019 StageRight, INC. All Rights Reserved.